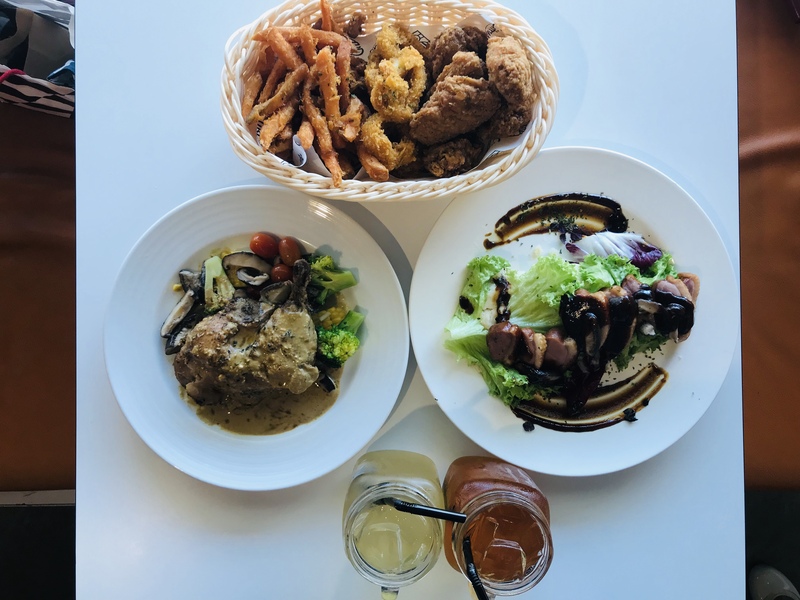 It has been a while since I last posted a review on halal restaurants. I have been seeing many of my friends rave about this halal restaurant called Citrus By The Pool on Instagram. When Mariem and I finally found a date we could both make it, I suggested we go to Citrus By The Pool. 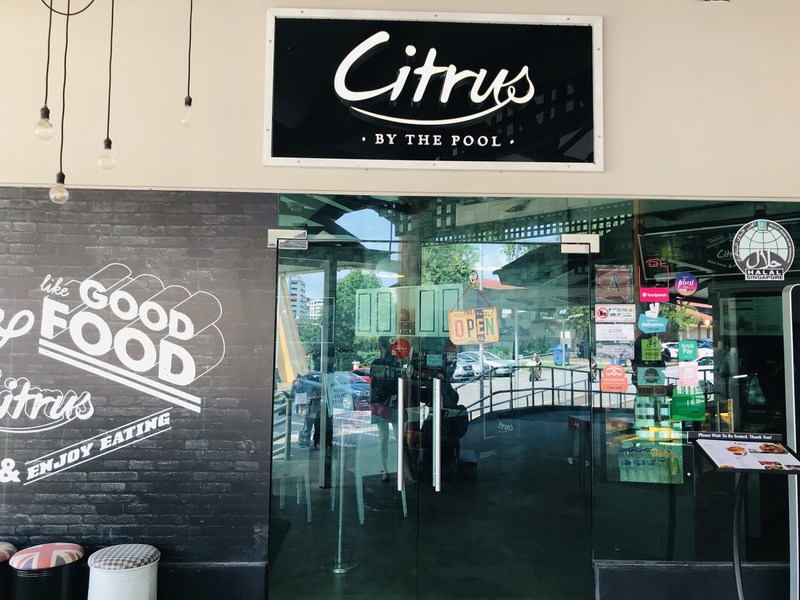 Citrus By The Pool is named so because the restaurant is right next to Woodlands Swimming Complex. It is a 10-minute walk from Woodlands or Marsiling MRT. It is halal-certified, so Muslim friends can dine here without worry. 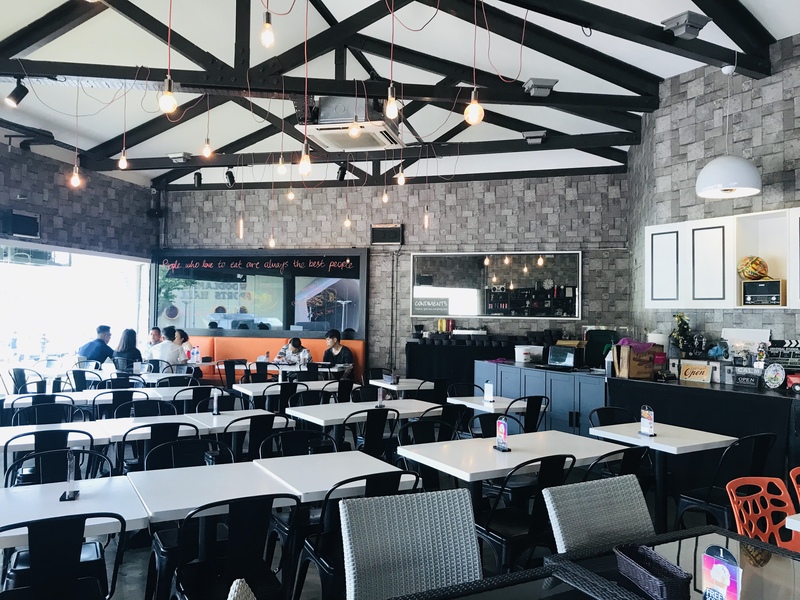 The interior of Citrus By The Pool is clean and spacious with grey tile walls and ceiling-to-floor glass window that makes the place feel more spacious than it actually is. Besides the usual appetisers, sides and main, Citrus By The Pool also has burgers and pastas. The drinks menu takes up a whole page with sundaes, mighty milkshakes and floats in addition to the usual coffee and tea. You can find the full menu here. 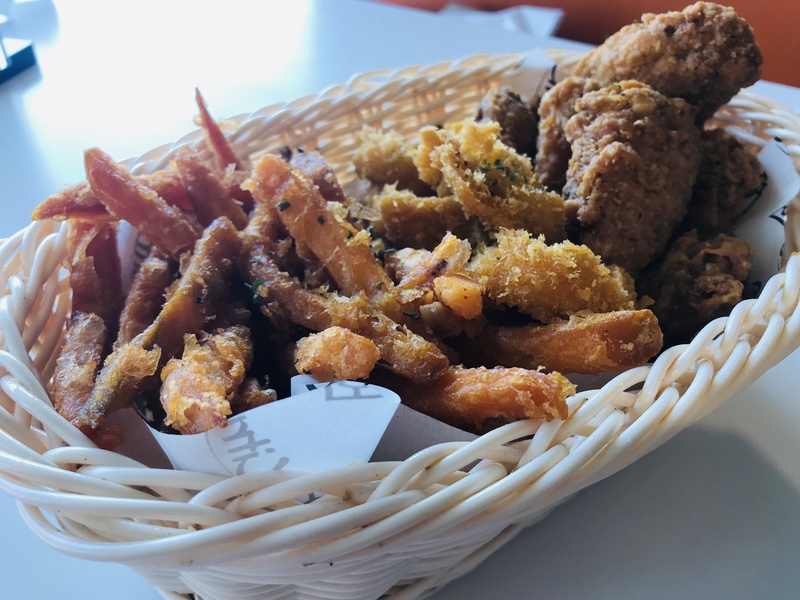 Party Basket [$16.90] consists of 6 winglets, 8 pieces of calamari and sweet potato fries. This basket of goodies is enough for 3-4 people but the two of us managed to finish it. The winglets are well-marinated and perfectly tender. The calamari are crispy and we both love the sweet potato fries. Given how expensive free-range chicken are nowadays, Grilled Free-Range Chicken [$14.90] is such a steal. A huge chicken thigh is accompanied by seasonal vegetables and homemade brown sauce. 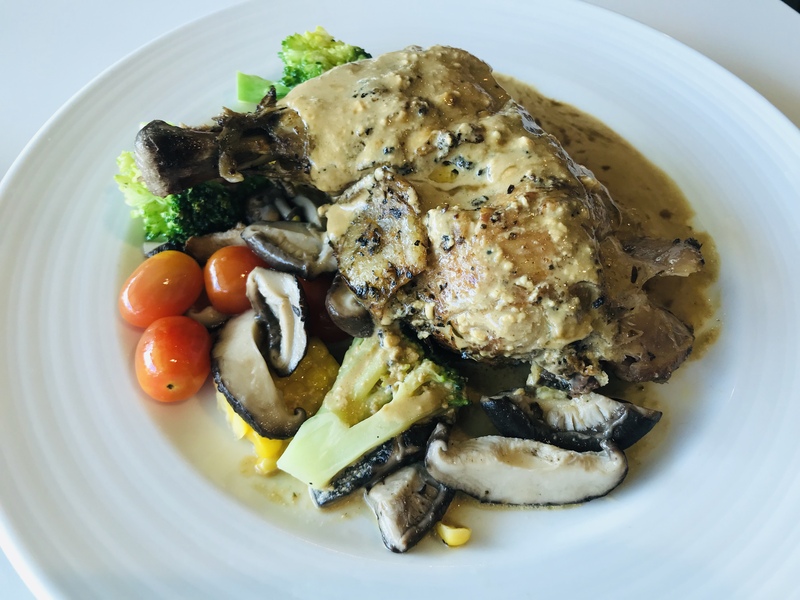 The chicken is sous-vide which retains its flavours and tenderness. The meat literally fell off the bone at the touch of the fork. 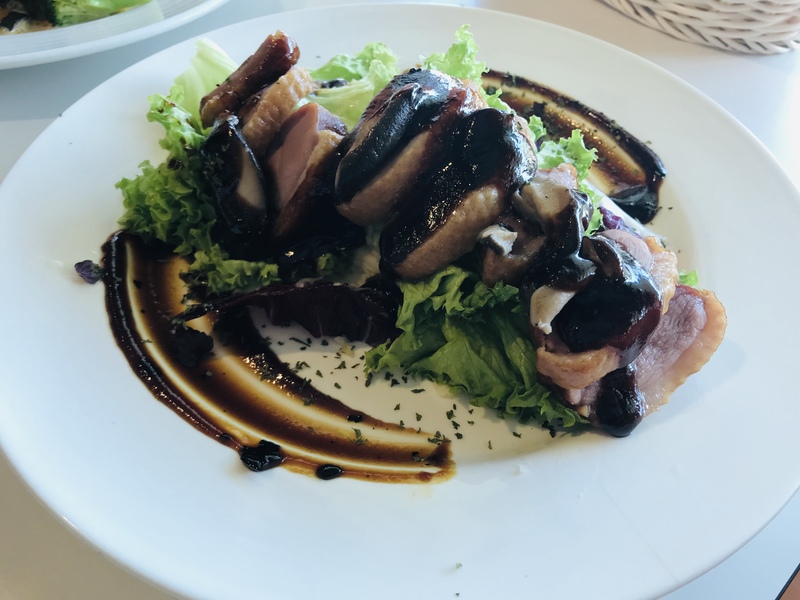 Smoked Duck [$17.90] sounded boring but Citrus By The Pool’s version managed to surprise me. The smoked duck slices alternates with sautéed mushroom, presented on a bed of mashed potato and seasonal vegetables. The mashed potato could do with a little more butter but the smoked duck pieces are flavorful yet not too salty. The Hoisin sauce adds another dimension of sweet and saltiness to the dish. 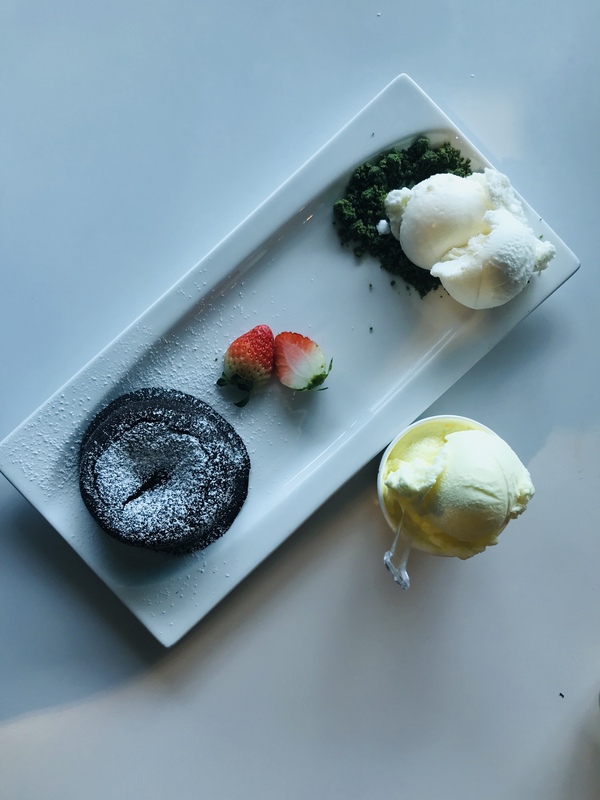 I just couldn’t resist ordering the Molten Chocolate Lava Cake [$10.90]. It’s supposed to come with a scoop of ice-cream. You can choose your choice of ice-cream flavor from the ice-cream fridge besides the cashier. They ran out of vanilla ice-cream, so I had no choice but to order coconut ice-cream to go with my chocolate lava cake. This combination actually turned out really well. When they refilled the vanilla ice-cream, they gave us a free scoop. How sweet! The warm hospitality of the staff and high quality of food are definitely plus points. There are so many dishes I want to try when I visit again.